Flight MH 370 with 239 people on board disappeared on March 8 while en route to Beijing from Kuala Lampur. Most of the passengers of the Boeing 777-200 were Chinese nationals. 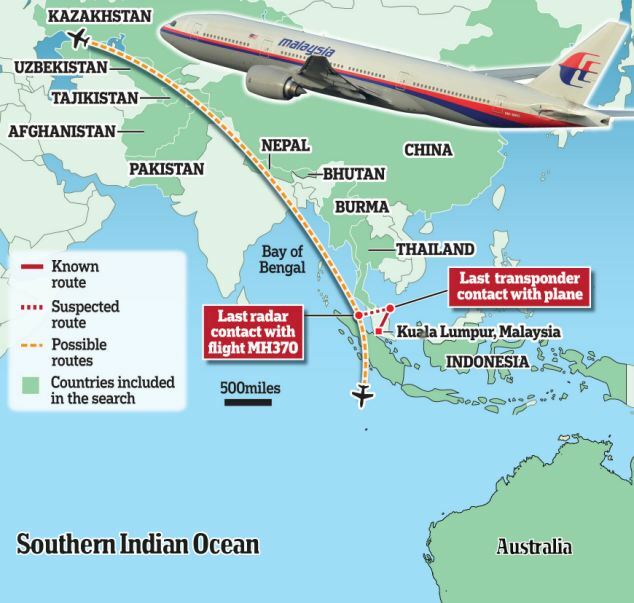 This entry was posted in Air Disasters, Life and tagged Airplane Missing, Flight MH370, Hijack, Terrorist. Bookmark the permalink.